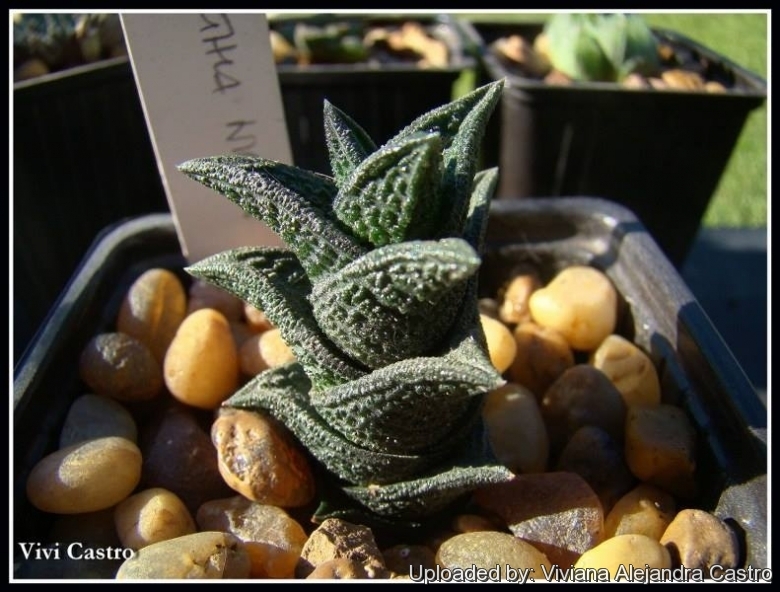 Origin and Habitat: Haworthia nigra comes predominantly from the Karoo desesert in the Eastern Cape of South Africa (from near East London in the South East to north Loeriesfontein in the North West) particularly those areas north and east of the related Haworthia viscosa. Habitat: Grows very well hidden under bushes or sometime in full sun among stones together with Haworthia decipiens and G. brachyphylla. 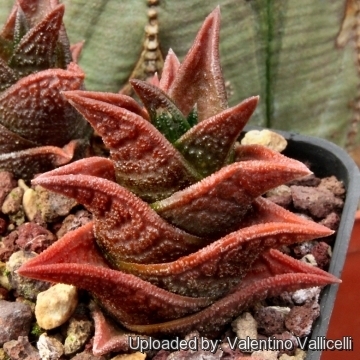 Description: Haworthia nigra is a slowly proliferous or stoloniferous species that form caulescent rosettes up to 6 cm in diameter and 10 cm tall (But usually shorter). Typically it make columns of three-ranked, rather triangular shaped, solid-colored almost black leaves, but plants are quiet variable depending on clone and origin. Some of its forms can be almost unbelievably slow growing, producing no more than one or two leaves a year, and remaining content in a 6 cm pot for decades. Stem: Variable from very long elongated or reduced to almost stemless. Leaves: Usually in 3-tiered (or sometime in spiral) arrangement , often displaying a densely tuberculate, heavily sculpted surface, marked with dark lines and ridges in distinct patterns. The colour may vary from very dark green and almost black in full sun, to light grey. In nature the leaves are often covered with soil. 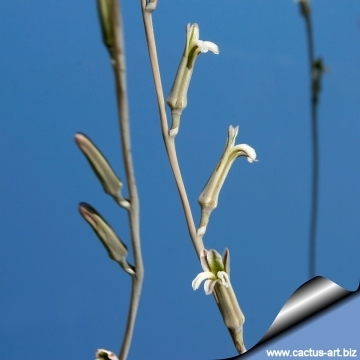 The leaves may be recurved and elongated away from the stem, or short and compressed upon one another. 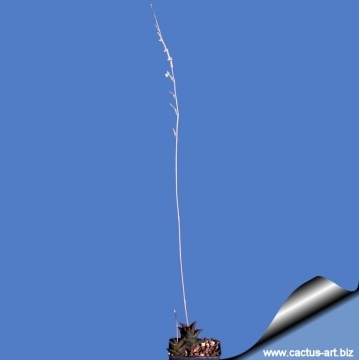 With a pungent straight or recurved leaf-tip. Flowers: Cream white, born on a simple, slender, sparsely flowered inflorescence. 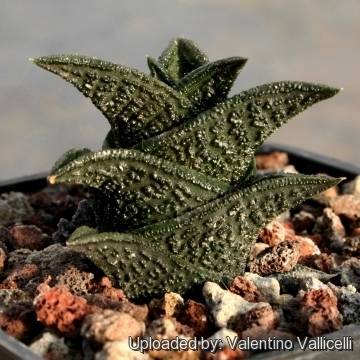 Remarks: The Haworthia nigra var. diversifolia is similar but with greyish-green and tightly farinous leaves. Cultivation and Propagation: In cultivation it belongs to more slow-growing species, but when successfully grown, it can be a very nice. 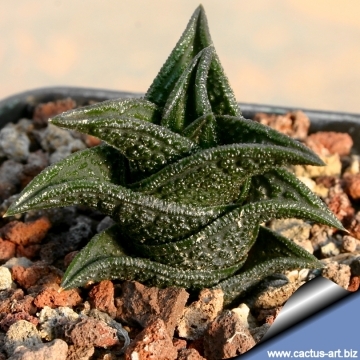 Haworthia nigra, form beautiful groups but to achieve this target they need regular care and good positioning of plants as far as light and air circulation are concerned. Provide a very draining soil (prone to rot). Needs regular water in summer keep dry in winter. 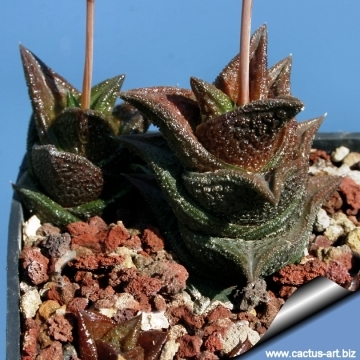 Propagation: Haworthia nigra can be easily propagated from stolons or offsets.